With the wild weather we’ve been experiencing in the UK, finding out how much a flooded engine repair cost should be is probably a good idea. If you take your car through a pool of water that’s much deeper than you were expecting, you could flood the engine and cause other internal damage. If you have fully comprehensive insurance, you should contact your insurance company about the repairs as they will have approved repairers that they would rather you use. If you have to make the repairs yourself because your insurance policy doesn’t cover the damages, the best course of action depends on the type of damage sustained. 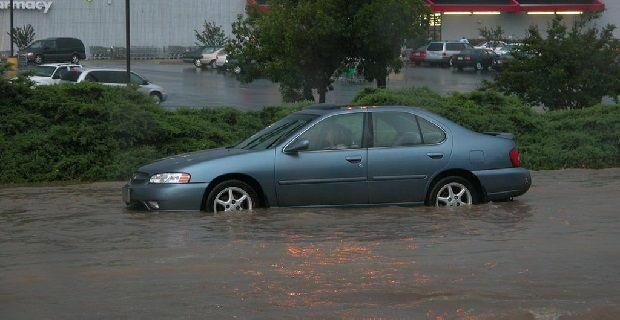 Unfortunately not every car that’s flooded can be repaired at a reasonable cost. As a general guide, cars that have been immersed to a level where water has come into the interior will probably be too expensive to repair, but you should seek professional guidance as each car has to be considered on a case-by-case basis. The full extent of the damages may take some time to become clear so the first assessment of the work needed to correct the flooded engine may not cover everything. If your engine’s been flooded with salt water, there may be more damage than you feared. That can also be the case if mud, silt or other materials from the road have made their way into the engine. Don’t try to start a flooded engine until an inspection and thorough cleaning has taken place. There could be debris in the engine compartment or underneath the body that you weren’t aware of and in some extreme cases, there could be insects or small animals brought into the engine bay by the water. The bill could well be high, but that depends on the amount of damage and how soon you get it looked at. The engine may not be the only part of the car that needs work though, as the flooding could have affected the battery, the lighting systems and the brakes.